To do so the amps would need to be adjusted to account for the different gains that would be involved as balanced outputs are typically +6db up on single ended outputs. Also you want ideally to have crossover points before the amps. I have had multiple requests to have a picture of the PecanPi Streamer with something other than a plain white background so that the size of the unit can be more easily visualized. The PecanPi could be an interesting and affordable solution to feed the Elac Narvis ARB-51! I think it would be a great pairing seeing as the ARB-51 has a balanced XLR input, that will get you the best performance. For near field listening, where you can easily reach for the PecanPi volume knob, it should be a nice combo. For mid/far field listening, since there’s no remote control for PecanPi and of course no volume control for Navis, I would avoid relying purely on software volume control… While it can work, it can also be disastrous. Unless of course you don’t mind getting up to change track volume when needed. Or you can set a reasonable volume with the PecanPi volume knob while using Roon’s auto volume levelling, to keep a more stable volume between tracks/albums. So this is more a combination of knob volume control and software volume control, and a bit safer that turning the volume knob all the way up and using 100% software volume control. I misread your post at first. You are correct you can use either full hardware volume control, full software volume control or a combination of the two. The SW volume control can be done remotely. 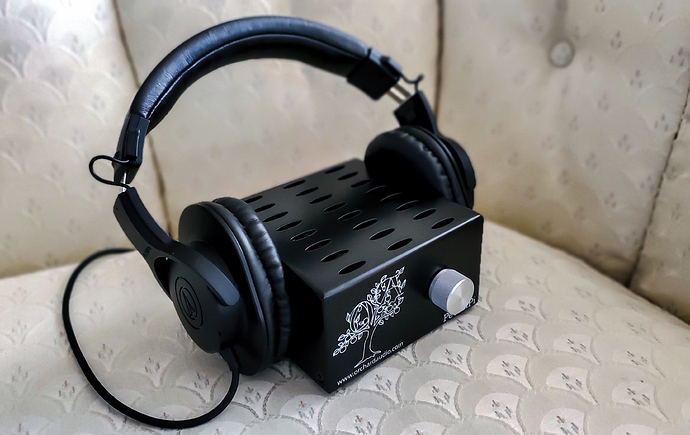 I’ve got one of the few other fully balanced XLR DAC HATs (HifiBerry DAC+ Pro XLR) going directly into two Hypex NC400 monoblock amps, using the digital (not DSP) volume of the Hifiberry. This works well. I use a Mackie BigKnob passive switch and attenuator to do A/B testing, in essence the volume knob on the PecanPi is the same combination of software/HW adjust, which is rather flexible and compelling. I will I think also get a PecanPI - I had wanted to get an ApplePi, but I missed that boat (thanks Leo for having a look back a few weeks ago for any that might still be hiding in some drawers), and from the measurements the newer model is also a bit better.